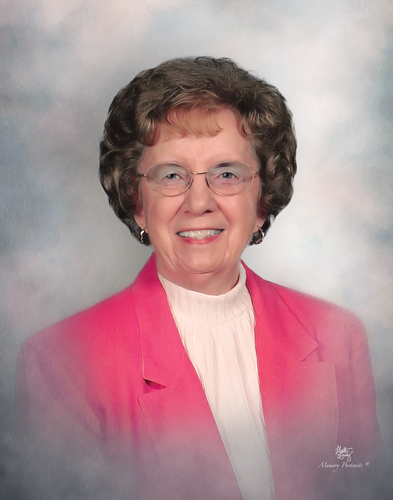 Jean (Jones) Seymore, age 88, of Evansville, IN, passed away at 9:30 p.m. on Monday, April 8, 2019, at The Village at Hamilton Pointe. Jean was born November 7, 1930, in Galatia, IL, to Layman and Agnes (Smith) Jones. She graduated from Galatia High School in 1948 and went on to work for the Evansville Vanderburgh School Corporation in administration for 25 years before retiring in 1997. Jean was a member of Bethel Temple. She loved Southern Gospel music, reading, and time with family. She is survived by her son, Robert Seymore (Kathy) of Evansville, IN; daughter, Marla Thalheimer (John) of Nashville, TN; brother Richard Jones of Galatia, IL; grandchildren, Jeff Seymore (Amanda) and Andi Miles (John); and 8 great grandchildren. Funeral Services will be held at 11:00 a.m., Friday, April 12, 2019 at Boone Funeral Home East Chapel – A Family Tradition Funeral Home, 5330 Washington Avenue with Reverend Bret Nicholson officiating. Burial will be in Lebanon Church Cemetery in Galatia, IL. Friends may visit from 3:00 p.m. until 7:00 p.m., Thursday, April 11, 2019 and from 10:00 a.m. until service time, Friday, April 12, 2019 at BOONE FUNERAL HOME EAST CHAPEL. In lieu of flowers, memorial contributions may be made to the Evansville Vanderburgh School Corporation at 951 Walnut Street, Evansville, IN 47713.